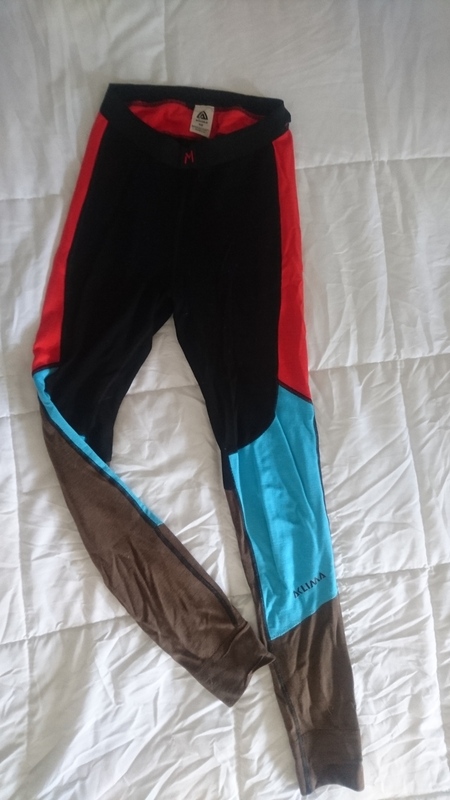 Tights / baselayer, size XS but runs large. Fits more like S/M. 100% wool. Thick wool, super warm, great for those extra chilly winter days or for anyone who just runs cold. Only worn a handful of times as they are too big for me. Has a small hole on the right leg, an easy fix.